The KLIA2 (Kuala Lumpur International Airport 2) was recently officially opened to the public on May 2014, located about 2km away from KLIA in the Sepang area, Selangor. The airport was built to cater for the tremendous growth in the low-cost travel industry with the capability of accommodating over 45 million passengers in a year. 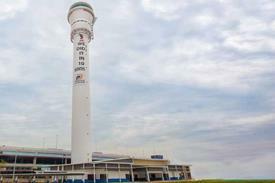 It was designed to be bigger and have better facilities to replace the previous Low Cost Carrier Terminal (LCCT). Next to the KLIA2, is a building called the Gateway@KLIA2 which is basically a shopping mall that is known to be the largest airport shopping mall in Malaysia. It is even claimed to be bigger than London’s Heathrow Airport, Bangkok’s Suvarnabhumi Airport or Singapore’s Changi Airport. Being one of the largest international airport in Malaysia, there are a number of ways for travelers to make their way there, like by train and bus. Admittedly, taking the Express Rail Link (ERL) is the fastest way, but taking the bus to KLIA2 is considerably cheaper. Most of the bus to KLIA2 departs from KL Sentral in Kuala Lumpur, but there are also buses going to KLIA2 from other locations like Malacca, Klang, Genting Highlands, Johor, Seremban and many more. Many of the bus to KLIA2 will drop off passengers at the KLIA2 building itself. 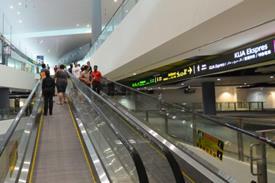 This provides convenience for the passengers to make their way to the airport. Some of the buses that goes to KLIA2 are namely Aerobus, Golden Coach Express, Star Shuttle Express, YoYo Express and more. Book your tickets for the bus to KLIA2 today!